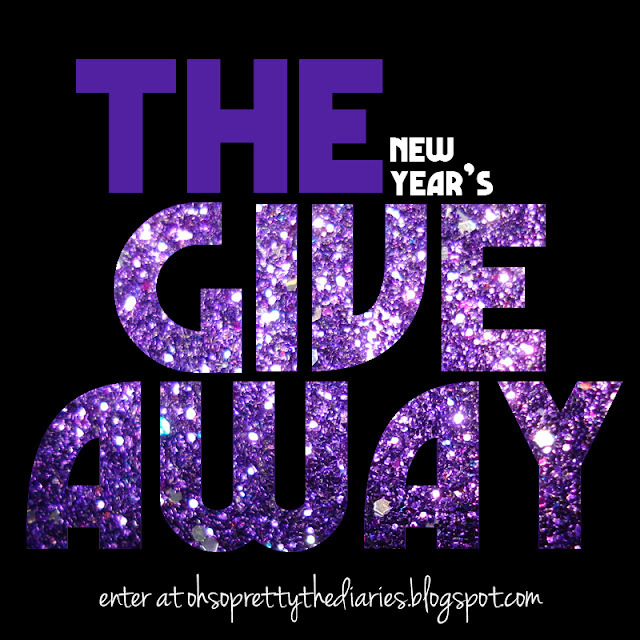 Well, we wanted you to start off 2012 right, so we are doing a giveaway! You may enter starting today until December 31, 2011 at 5:00 pm (central time). All you need to do to win is become a follower of this blog (the button is on the right, below the pink circle buttons) and answer the question at the bottom of this post. 1) You must be a follower of the blog to win. 2) Answer the question at the bottom of this post to enter. 3) Only one comment per person please. We will randomly pick the winner and will announce the winner on January 1, 2012 at noon (central time). We will email the winner as well as post the winner on the blog. Yay! Best of luck and we look forward to reading your suggestions! What kind of posts/topics would you like to see on this blog? More DIYs - especially nails! This blog is quite an undertaking and I say Bravo to you! While I appreciate the information you have provided including the must haves in fashion and for eyes as well as your before and after decoration inspiration; perhaps some direct how-to. How to apply how-to apply the make-up, or how-to combine the clothing complete with photo tutorial, or even how to create some of the things you have in re-decorating your space. Keep following the latest trends and then show us how to adapt them and make them relevant to our lives. Keep up the great work! I would love to see more DIY how-to's and nail tutorials! And maybe even some makeup tutorials. I would love makeup tutorials! I think it would be cool if y'all tested out different pinterest crafts to see if they're worth making or not. Like a Pinterest Test Lab and you could rate the crafts based on how they turned out, and how much time and money it took. Just an idea though! What a super generous giveaway! Thank you lovely girls for hosting this! I really like how you two do it all! finally a blog where you can find beauty-recipes-music-fashion and all things glittery!! I would love to see you two do videos, the a youtube channel. crossing my fingers and happy holidays!